Eels Lake, is a beautiful lake located half of the lake in Peterborough County and the other half is in Haliburton County. The municipalities are North Kawartha and Highlands East. You can get to the east side of the lake in about 10 min from Apsley. This lake is a TSW lake (Trent Severn Waterway) controlled by a government damn. This means that the lake will see a substantial change in water levels from spring to fall and could be as much as over 8 feet. One of the benefits of the fluctuation in water is that it stays quite clean. Eels creek runs into and out of this lake and there are several natural springs that help feed into the lake also. 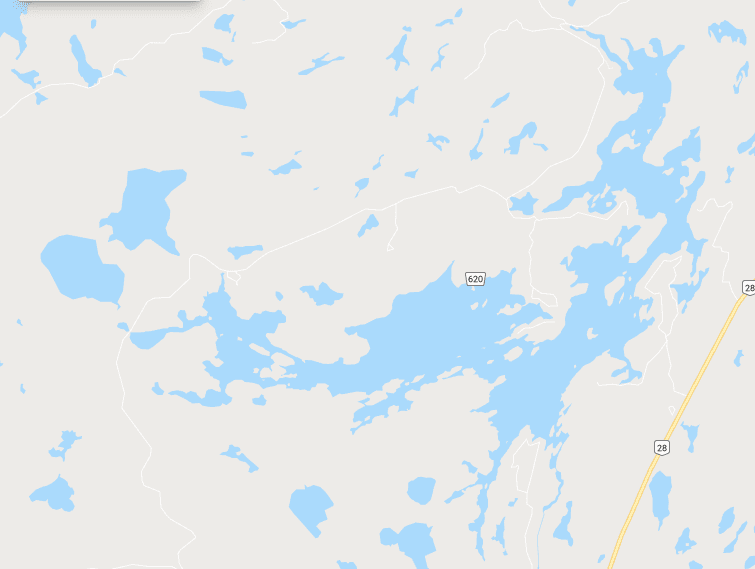 I have heard some history on this lake as well as Jack Lake and to my knowledge, these two lakes were named after two brothers, Eel and Jack Cow. So much history on this lake makes it a pretty unique spot. There are some steep spots on the lake where cottages are up a bit from the water, but once you get to the water you are not disappointed as it is clean and clear and beautiful. You get used to the fluctuation in the water levels and nowadays the dock systems that can be installed will rise and drop with the water, it is important when looking at a cottage or home on Eels lake to know where the water level will drop to. Contacting the local Marina owners Jeff or Carolyn Ball will be a huge asset in this. Ice fishing is not allowed on this lake as it is a fish sanctuary. The MNRF have stocked this lake in the past to help the natural spawning of the Lake Trout. Fish you will find in the lake are Large and Smallmouth Bass, Lake Trout, Yellow Perch, Rock Bass, and Walleye. The lake at its deepest is about 98 feet and in size it measures about 2,337 acres in size with about 400 cottages on it.